Uber's getting a move on—and it's not just about people anymore. The popular ride-hailing company Uber has recently launched a new website for its large-scale delivery service called UberFreight. And while very little information about the new service is forthcoming, we can safely assume that this truck delivery service is connected to Uber’s acquisition of the self-driving cargo startup Otto last August. “We don’t have any new information to share at the moment, but hope to in the new year so please do stay in touch,” an Uber spokesperson told Inverse. Little else is revealed on the site, except that it’s open for both carriers and shippers. People can sign up to drive delivery trucks across the country, while others can send packages using the service without the usual contracts required by established shipping companies. It’s clear, however, that UberFreight won’t be using Otto’s trucks just yet. Last October, the Uber-Otto tandem successfully conducted the first autonomous truck delivery test drive. If these developments are any indication, we can surmise that UberFreight is intended to be an autonomous truck delivery service. Uber has previously announced that it plans to have Otto’s self-driving trucks on the road by 2017. It’ll certainly be a while before autonomous trucks hit the road. Which is precisely why establishing UberFreight this early in the game is ideal. Right now, it’s about data acquisition and processing: running UberFreight will give Uber access to enormous quantities of real-life data that can help prepare for and improve the eventual autonomous hauling service it plans to implement using Otto’s trucks. The self-driving vehicles can learn from experienced drivers; the delay, meanwhile, also gives government regulators some much-needed time to figure out how to govern autonomous trucks. It’s interesting to note that Otto had similar plans prior to its acquisition by Uber. In its October test run, Uber showed that the Otto autonomous trucks would still be monitored by a human being that works more as an operator than a driver. This setup can help mitigate the eventual job displacement expected to be created by autonomous freight trucks. Long haul truck drivers could possibly work as long haul operators in the near future. With Uber’s resources and Otto’s technology, this new service enters a previously unexplored market that’s been steadily garnering attention from the likes of the Nikola Motor Company and even Tesla. 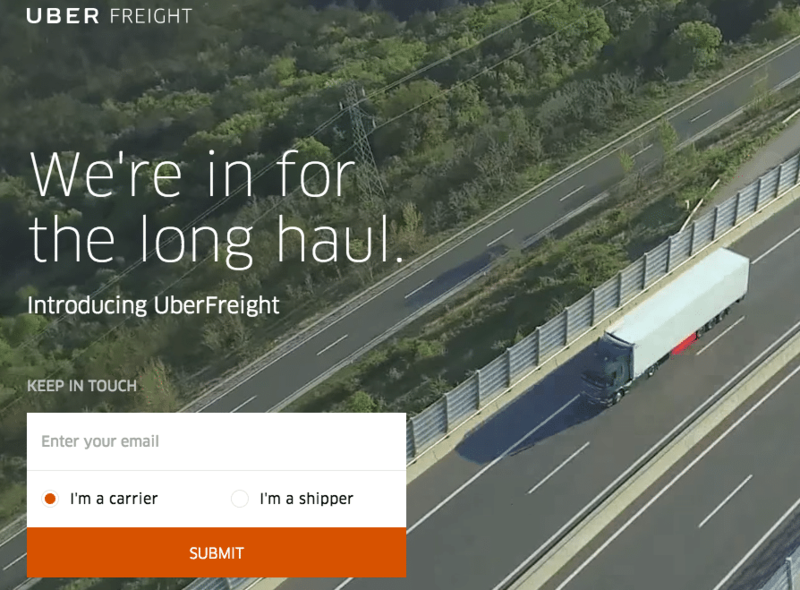 Right now, it’s baby steps; but each faltering step forward with UberFreight will pave the way for an almost incredible future, one in which that long-haul semi you see beside you on the highway is driven by an algorithm, not a crusty truck driver. Which begs the next question: what will become of all those seedy truck stops across the country? Driverless Ubers in San Francisco? Yes. DMV Approval? No.